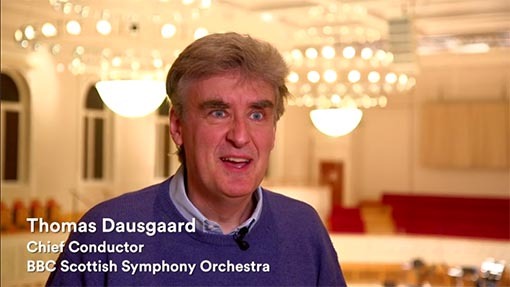 Composer Roots: a major series of concerts programmed by Thomas Dausgaard, exploring influences on the music of Beethoven, Rachmaninov and more, including a three-concert exploration of Bartók. Collaborations with folk musicians from across Europe as part of Composer Roots. New Scottish Inspirations, a second year of works commissioned by the BBC inspired by Scottish culture, from Anna Clyne, David Fennessy and William Sweeney. The orchestra’s Tippett Symphony Cycle concludes with the first professional performance of the composer’s withdrawn Symphony in B flat. A rare performance of Sibelius’s choral symphony Kullervo. Guest soloists including Behzod Abduraimov, Martin Fröst, the Danish String Quartet, Karen Cargill, Steven Osborne and François Leleux. Family concerts including Ten Pieces in Aberdeen, and in Glasgow an exploration of music and science: Music, the Universe and Everything. Tectonics Glasgow festival returns for 2018.